As I drive to the Barbeque over the years, the first of the maples are just starting to turn. 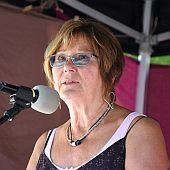 And so passes another lovely Gabriola summer – but too dry! 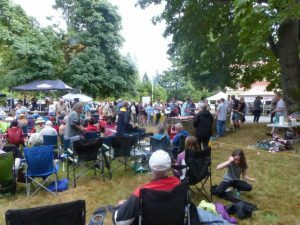 The Community Hall Salmon Barbeque was another huge success even though it rained for the first half hour. Who could not appreciate that? The crowd arrived, ate, enjoyed good music and friends and the Hall made around $13,000 clear. Thank you Gabriola! and all the hard working volunteers, especially Julie Stewart who organized the event. And thank you to The Sounder for the lovely coloured spread that captured the spirit of the event. Thanks to Howard Houle, our RDN representative who handled the Community Works grant for $5000 matching funds for new gutters and plumbing upgrades in the mechanical room. Big thank you to the Lions Club who gave us $3000 toward the gutters. Also thank you to Howard for securing a letter of confirmation that the RDN will provide $25,000 for the new flat roof on the Hall provided we can get matching funds from another source. We are working on that one. Our Treasurer Richard Strachan has resigned and we are in need of a new Treasurer. Thanks to Richard for his dedication to the Hall for the past number of years. Please let us know if you have about 10 hours a month time and one meeting a month to volunteer to be our Treasurer. Water damage repairs are nearly completed by Winmar Restoration and our two capable, patient Gabriola tradesmen, electrician Ryan St. Pierre and plumber Arian of Waypoint Projects. Thank you guys! All repairs are slated to be completed by the end of August and the preschool will start at it’s regular start time. For bookings call Tsiporah Grignon at 247-8350. 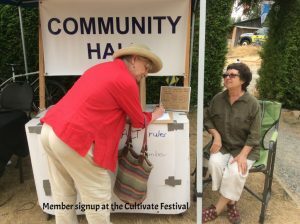 Don’t forget to sign up for membership of your Community Hall Association. This year it is free and a long membership list signifies community support which helps us with grant applications. Just CLICK HERE and fill in the form. Don’t worry if you are not sure if you have already joined. We will sort out any duplicates. Watch for notification of a date for our Open House near the end of October to show off our newly updated old Hall. Also watch for posters to advertise the Gabriola Car Club country dance at the Hall on Saturday October 13. See you on the flip flop, folks.